The European Commission and the Chinese Government will continue their close working relationship with the fourth High Level Economic and Trade Dialogue (HED) taking place on 24 October in Brussels. It is the first such meeting since the change in the Chinese leadership and is a key mechanism for managing cooperation and competition between the two economies. The Dialogue will cover macro-economic challenges facing the international economy, future sources of growth, industrial policy questions as well as trade and investment issues, and customs cooperation. The HED offers an opportunity to discuss strategic issues in the EU-China economic and trade relationship. It is co-chaired by Vice-President Rehn and Commissioner De Gucht as well as Chinese Vice-Premier Ma Kai. A further seven Chinese Ministers and Vice-Ministers will participate in the dialogue. The EU will further be represented by Commissioner for Taxation and Customs Union Algirdas Šemeta, and Deputy Director-General for Enterprise Antti Peltomaki. The meeting takes place as the global economy is showing signs of recovery and at a time where both the EU and China are moving forward with bold plans for the future of their economies. It is important for the EU and China, as two of the largest economies in the world, to discuss the economic challenges they face because domestic policy decisions in either the EU or China will affect the other side, as well as the rest of the world. Both the EU and China can contribute to strong sustainable and balanced global growth through greater policy coordination and enhanced bilateral cooperation and within the G20. The HED will also prepare the forthcoming EU-China Summit, where both sides expect to be able to launch the negotiations for an investment agreement. 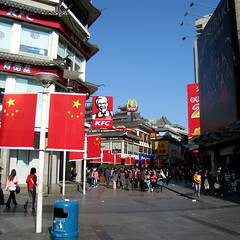 In 2012, China was the second largest economy and biggest exporter in the world. Over the last ten years China has been one of the fastest growing economies in the world, a remarkable feat given the size of the country. At the same time China – along with the EU – is at an important juncture. The EU is gradually emerging from the sovereign debt crisis and is undertaking important structural reforms, while in China, the growth model is showing increasing strains, and the Chinese leadership has itself highlighted the need for further reform. China now accounts for about 12% of world trade in goods. China’s bilateral trade in goods with the EU has gone from €4 billion in 1978 to €432 billion in 2012. That means that the EU and China trade well over €1bn a day. Since joining the WTO, China has become one of Europe’s fastest growing export markets. In 2012 EU exports to China increased by 5.6% to reach a record €143.9 billion, and they have more than doubled in the past five years, contributing to rebalancing the relationship. The EU is also China’s main export destination, with €289.7 billion in goods in 2012. This produced a trade deficit of €145.8 billion with China, down by 13.9% compared to the 2010 record of €169.3 billion. Europe’s trade deficit with China is mainly caused by sectors like office and telecommunication equipment, shoes and textiles, iron and steel. Through better market access, European exporters should be well placed to increasingly sell their products on the rapidly expanding Chinese consumer market. Total bilateral trade in goods reached €433.6 billion in 2012. Trade in services, however, is still about ten times lower at €49.8 billion and remains an area full of potential if China were to open its market more. Over the first 8 months of 2013, EU exports to China remain flat compared to last year and amount to €96.8 billion. By contrast, EU imports from China are down by 5.8% to €181.2 billion, indicating to a further decrease of the bilateral deficit over 2013. Investment flows also show vast untapped potential. EU companies invested €9.9 billion in China in 2012, with Chinese FDI into the EU amounting to €3.5 billion. Yet China accounts for just 2% of overall European investments abroad, while in 2012 Chinese investments into the EU only counted for 2.2 % of total foreign direct investment flows into the EU – so there remains much potential. On 18 October, the Foreign Affairs Council (Trade) approved a mandate which will allow the European Commission to negotiate an ambitious investment agreement with China covering both market access and investment protection. Europe hopes that the negotiations with China on this basis can be launched at the EU-China Summit next month.